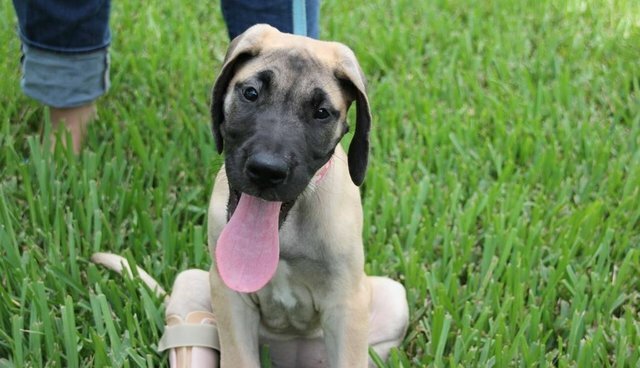 Little Rosie is lucky to have a brand new foot this week ... and a second chance at a happy life. 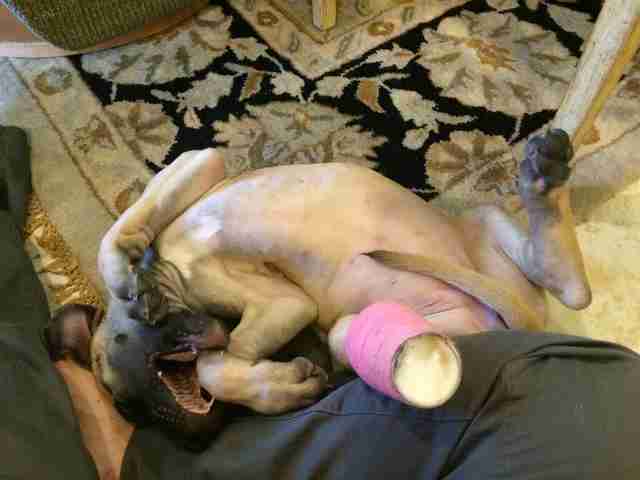 An accident when she was even littler left the 10-week-old puppy with a foot so injured that it had to be amputated. The breeder no longer wanted Rosie, and, at just a few weeks old, her future looked grim. That is, until Florida rescue group Big Hearts For Big Dogs stepped in. The rescue group found Rosie a great foster home, and, amazingly, a team who was able to make her a brand new prosthetic foot. 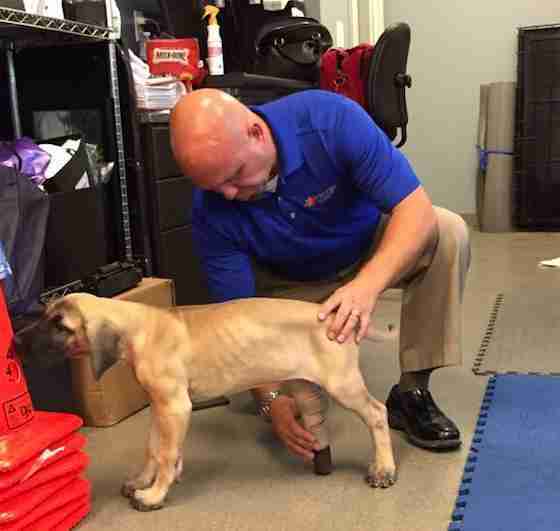 Specialized Veterinary Services, a local practice, teamed up with the Hanger Clinic, which usually makes prosthetics for humans, to get Rosie the new foot she needed. Rosie meets the new BHBD 'litter' and can't believe how small they are. 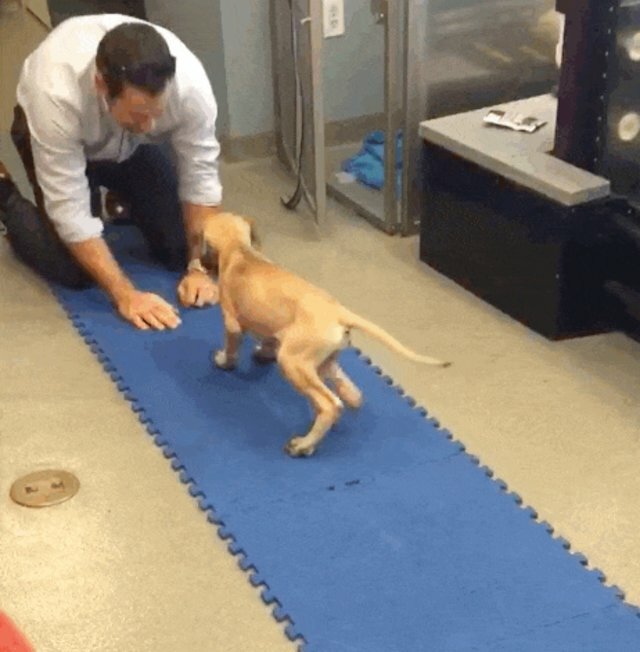 After a few fittings and plenty of practice, Rosie is well on her way to having a perfect prosthetic that will help her run and jump and play just like a puppy should. Now all Rosie needs is a forever family who will understand her needs, and give her lots of love and attention. Anyone interested in adopting Rosie, or supporting her rescue efforts, can find ways to help online on the Big Hearts For Big Dogs site.